At the prestigious Hong Kong Call Centre Association (HKCCA) Awards 2018, our Client Services team won GOLD in the ‘Mystery Caller Assessment Award - Finance and Insurance’ category, along with more awards. These accolades reaffirm our exceptional service standards. Now that the US and China have agreed to a temporary truce, should investors have reason for optimism? With market turbulence likely to continue, should MPF members be worried? Here are tips from KP Luk, Fidelity’s Head of HK DC Business. 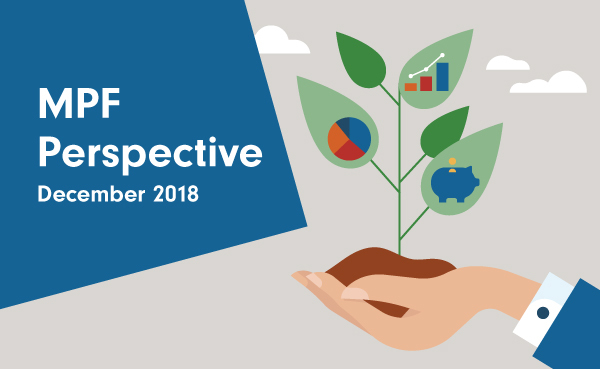 Uncover the latest trends, track the fund performance of your MPF scheme, and empower yourself to make better decisions for your MPF portfolio. Copyright 2018 FIL Investment Management (Hong Kong) Limited. All rights reserved. This is a marketing distribution mailbox only; please do not reply this email. Investment involves risks. This material contains general information only. It is not an invitation to subscribe for shares in a fund nor is it to be construed as an offer to buy or sell any financial instruments. Fidelity only gives information about its products and services. Any person considering an investment should seek independent advice on the suitability or otherwise of the particular investment. You may at any time and without charge, choose not to be included in any of our future marketing materials. To arrange for exclusion, please click on the following link: unsubscribe marketing material from Fidelity. Should you have any enquiries, please call the Fidelity Investor Hotline on (852) 2629 2629. To read more about your personal data rights, click here. FIL Limited and its subsidiaries are commonly referred to as Fidelity or Fidelity International. Fidelity, Fidelity International, the Fidelity International logo and F symbol are trademarks of FIL Limited. This message is sent by FIL Investment Management (Hong Kong) Limited and has not been reviewed by the Securities and Futures Commission.